Veneto is one of the largest regions in Italy. The region has about 5 million citizens. 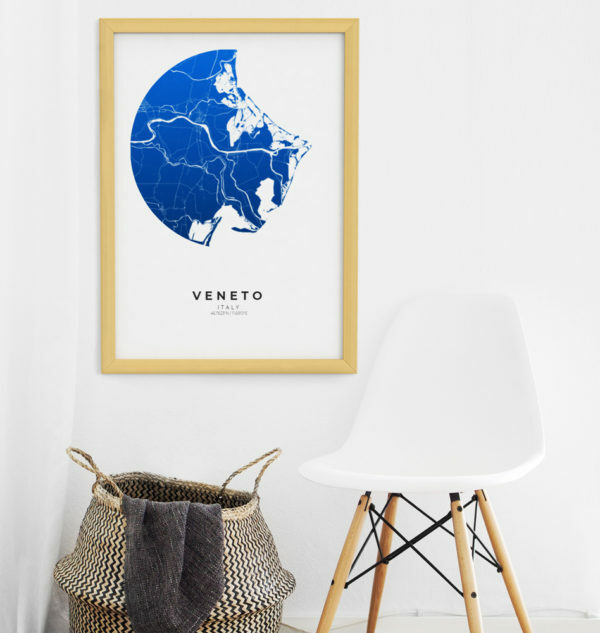 Create your own map of the places you love. Our classic black and white style is a perfect fit for any room. Choose your favourite city! Los Angeles, the city of Hollywood. Did you know, that there are more cars than humans in Los Angeles? No wonder that finding a parking lot is truly horrific in LA. You can’t go wrong with one of our classic black & white styles. It’s the perfect present. Reykjavik, the map of Iceland’s capital. Reykjavik has about 120.000 citizens and lies on the Atlantic coast. Do you know someone who has been there recently? Where did you have your honeymoon with your partner in crime? Create your own piece of art as a gift to remember this special time in your life. Rotterdam is one of europs most popular student cities. Our new dark-pink theme works well on every modern wall. If rotterdam is not your favourite city, just change it to yours by clicking on the ‘edit’ button.